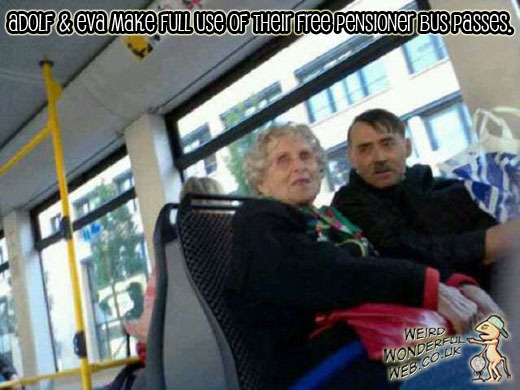 Weird Wonderful Web: Hitler's alive and touring London! Adolf Hitler seems to feel it's been long enough now for him to break cover. "What really?... Oh come on, that was years ago. What too soon? Water under the bridge surely?". "Well it seems not love. And don't bloody call me Shirley!" this is a swedish bus!